The leaders of the Roman Empire established many of the organizational governance practices that we follow today. They also accomplished remarkable feats of engineering, building roads and bridges still in use today, complex irrigation systems, and even “flush toilets.” Yet, the leaders were challenged with political intrigue, rebelling team members, and pressure from the competition. How could they achieve such long-lasting greatness in the face of these challenges? 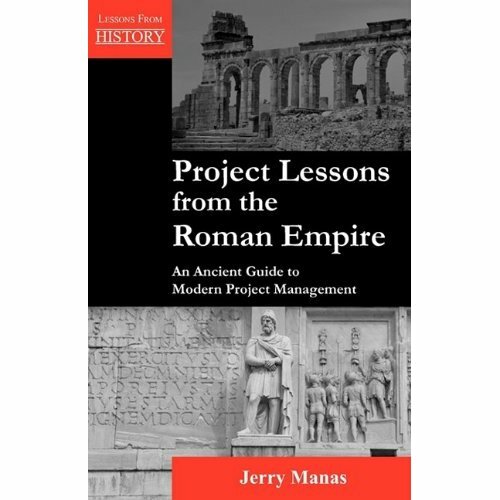 In this new addition to the Lessons from History series from Multi-Media Publications, Jerry Manas takes you on a journey through history to learn about project management the Roman way. Discover the 23 key lessons that can be learned from the successes and failures of the Roman leadership, with specific advice on how they can be applied to today’s projects. Looking at today’s hottest topics, from the importance of strategic alignment for your projects to managing transformational change and fostering work/life balance while still maintaining overall performance, you’ll find that the Romans already faced—and conquered—these challenges two thousand years ago. Read this intriguing book to learn how they did it.